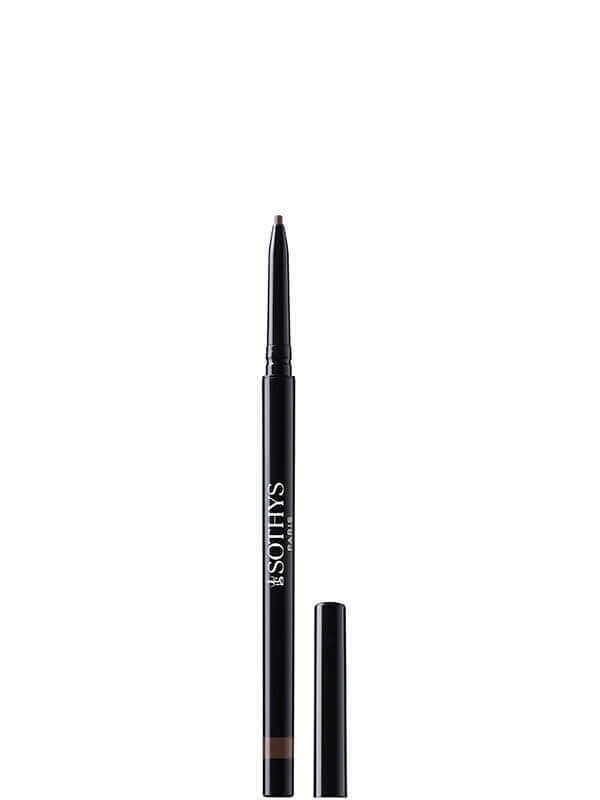 The Sothys eyebrow pencil is a hard but comfortable texture, defines the brow line, fills less dense zones, brows can be perfectly drawn with its superfine line. Waterproof, long lasting, developed especially for hot and humid climates, it stays perfectly put throughout the day. No need for sharpening. Ophthalmologically tested formula. Available in two types of pencil, three colours. Vitamins E and C - For an anti-free radical and antioxidant action. For a perfect look, its fine lead can be used both to outline the brow line and fill in sparse areas. Use the eyebrow pencil alone, or with the eyebrow brush for a perfect finish.